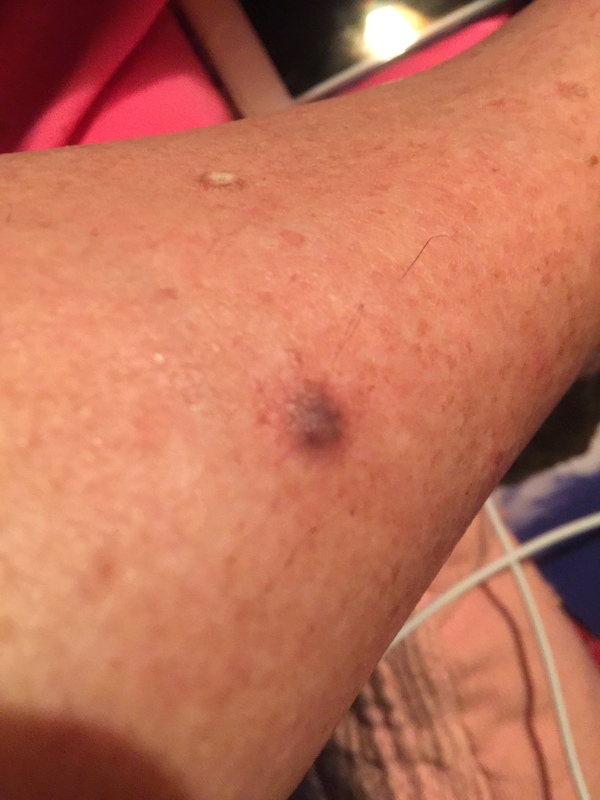 I’ve posted about our family’s experiences with melanoma before. We were lucky and caught it in time but a good family friend didn’t. 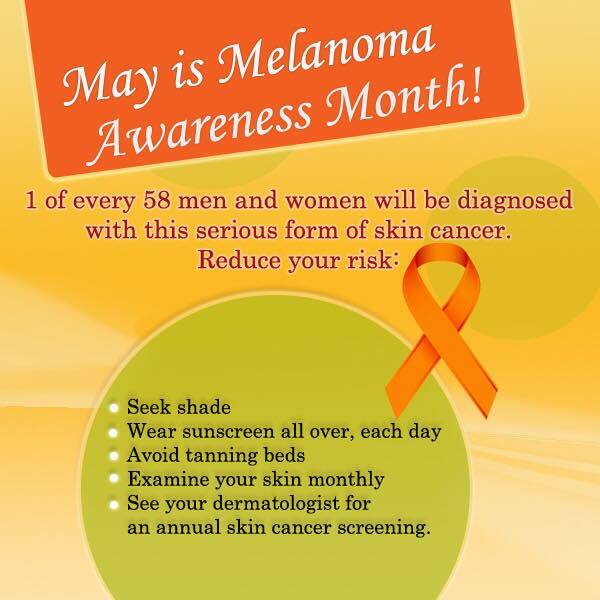 May is designated as National Melanoma Month. Included in that designation is National Melanoma Monday, which is the first Monday in May. 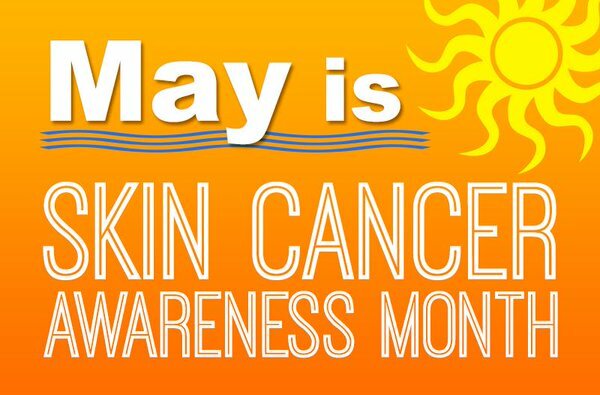 The American Academy of Dermatology has set aside this day to raise awareness about skin cancer. Melanoma is a type of skin cancer, and it is the deadliest of skin cancers. There will be many events focused on skin health, sun safety, tanning prevention, and skin cancer screenings and resources. All are asked to join the American Academy of Dermatology in wearing orange and encouraging others to wear orange for skin cancer awareness. Know the warning signs and check with your doctor if any of them appear. The 2016 theme is Looking Good in 2016 so use #LookingGoodin2016 or #MelanomaMonday to post on social media. Founded by the American Academy of Dermatology, National Melanoma Monday has been raising awareness since at least 1984. For more information on prevention and screening visit www.melanomamonday.org. My husband had a Mohs surgery on his ear a couple months ago and it was a really good way to get rid of ALL the cancer. His surgeon did it in really interesting way. I had thought that they would take the first slice, then wait in the room where he was while they looked at the pathology, then take another, etc until all the cancer was gone. Then a round of second slices, then thirds. It took longer than I’d thought but it was really good talking to other family members and patients during that time. Mohs surgery is a precise surgical technique used to treat skin cancer. During Mohs surgery, thin layers of cancer-containing skin are progressively removed and examined until only cancer-free tissue remains. Mohs surgery is also known as Mohs micrographic surgery. Mohs surgery is an improvement to standard surgery (local excision), which involves removing the visible cancer and a small margin of surrounding healthy tissue all at once. Mohs surgery allows surgeons to verify that all cancer cells have been removed at the time of surgery. This increases the chance of a cure and reduces the need for additional treatments or additional surgery. New guidelines for diagnosing and treating melanoma skin cancers have been issued to the NHS in England. The National Institute for Health and Care Excellence (NICE) hopes they will end a wide variation in the diagnosis and treatment of the disease. They include advice on diagnosing how far the cancer has progressed, identifying the best treatment, and improvements to follow-up care. Melanoma is a form of skin cancer that claims more lives than any other. In 2012, the UK saw more than 2,000 deaths from melanoma and the number of melanoma cases is growing faster than any of the 10 most common cancers. Experts believe this is largely down to the boom in foreign holidays over the past 40 years and, more recently, a big increase in the use of sunbeds. Prof Mark Baker, from NICE, said everyone wants to enjoy the sun, but there are safe ways to do so. “Using a sunscreen with a high SPF, spending time in the shade between 11:00 and 15:00, ensuring you don’t burn, and covering up with a hat, T-shirt and sunglasses. “But overexposure to ultraviolent light from the sun can have very serious repercussions. “Melanoma causes more deaths than all other skin cancers combined. Its incidence is rising at a worrying rate, faster than any other cancer. Experts warn that even though more people are now aware of the dangers of too much sun, it will be a generation or so before the number of melanoma deaths starts to fall. via Melanoma skin cancer guidelines for NHS updated – BBC News. I mentioned in an earlier post that I was having some biopsies done. It had been planned for 3 of them today 2 on my right leg, 1 on my left. Up at 6:30 to put Lidocaine/Prilocaine cream on the places, covered with waterproof bandages. The doctor removed most (or all?) of the largest one. There are 3 internal stitches and 7 on the outside. When those 7 are removed in a couple weeks, the doctor will remove the second one, on the other leg. Then, when the stitches come out for that, she’ll remove the 3rd. Meanwhile, we were hoping the pathology report would come back today for the forehead one I did last week but it hasn’t yet. No news is good news! Leave your wound dressings in place for the rest of the day of the biopsy and keep them dry. Change band-aids daily starting the day after the biopsy. Showers are fine starting the day after the biopsy. Leave the band-aids in place while you shower and change them after you dry off. During the time period of daily band-aid changes, do not soak in a bath or swim. The average time for daily band-aid changes is 5 to 6 days (range is from 1 or 2 days up to 2 weeks). If you need to use anything to clean the wounds, hydrogen peroxide is recommended. If the wounds are fine (i.e., no signs of infection), all that is required is a daily band-aid change. The wounds may or may not form a scab as they heal; either way is fine. Continue to change the band-aids daily until there are no open wounds. The local anesthetic used for the biopsy will usually last for 1 to 2 hours after the procedure. After it wears off, you may have some mild, localized soreness and tenderness at the biopsy sites over the next day or two. You may find regular Tylenol is helpful for the discomfort. Refrain from doing extremely strenuous activity for the rest of the day of your biopsy (such as running or heavy lifting). Once you are without the band-aid, the biopsy sites may look slightly red or darker than the rest of your skin. This discoloration will gradually fade and blend back with your normal skin color. This fading process may take anywhere from a few months up to a year. It is very rare for people to have any problems during the healing period. It is normal for the biopsy sites to bleed a little bit or drain pink fluid for a day or two after the biopsies. They should not bleed excessively (i.e., through the band-aid) after that time. They should never drain pus. If you do experience problems with significant bleeding, redness, infection, or other problems, call your doctor’s office. We have a new melanoma in the family, so I’ll be posting a bit about that for a while. I just had a shave biopsy above my eyebrow last Tuesday and I’ll have 3 punch biopsies on my legs next Tuesday. Results to follow!